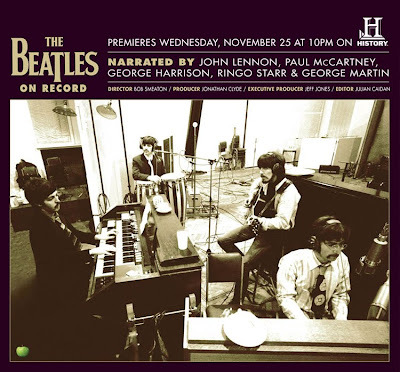 The History Channel will be premiering a new Beatles documentary entitled, The Beatles On Record, which follows the Fab Four as they evolve in the studio. Having already been broadcast by the BBC earlier this year, it will air on Wednesday, November 25th for U.S. audiences. While the amazing Beatles Anthology docu-series perfectly captured The Beatles from their beginning to the end, a documentary solely devoted to the band in the studio is something I’d love to check out. Inasmuch as the new Beatles reissues better-demonstrate the truth to their sound, this documentary should explain exactly how groundbreaking they were, confirming their fully-integrated importance to the musicscape that’s followed. ©2009 A&E Television Networks. All Rights Reserved.